This content is provided by Tatiana Lapushchik. 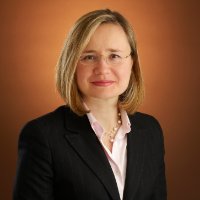 Tatiana Lapushchik is a partner in Cravath’s Corporate Department. Her practice focuses on representing the leading financial institutions, as well as corporate borrowers, in domestic and cross‑border bank financings across a variety of industries, including manufacturing, healthcare, oil and gas, retail, technology and media. Ms. Lapushchik has represented the financing sources for numerous acquisition financings, recapitalizations, spin‑offs and debt restructurings. She regularly advises financial institutions on financings for their marquee investment grade clients.